Call for Volunteers: We need you! 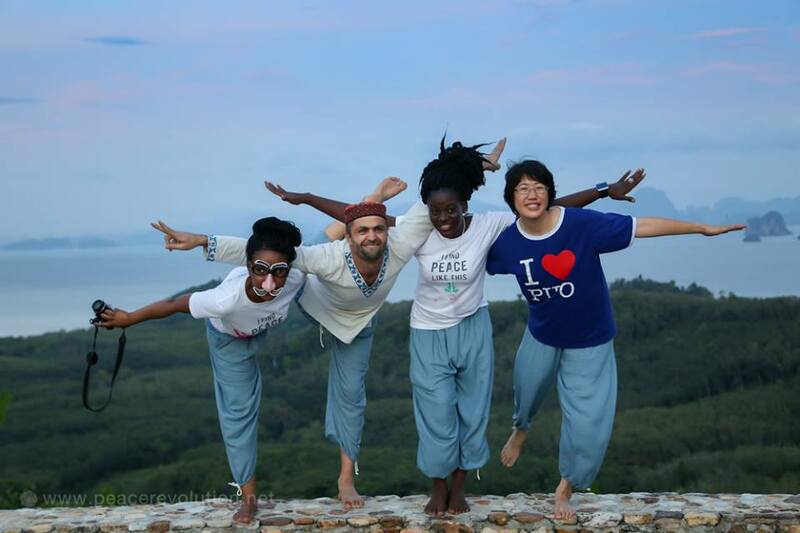 Peace Revolution is organizing a peace tour in Central America and the Caribbean and we are looking for enthusiasts volunteers that would like to share meditation and peace building on their communities. What does this Tour consists of? Peace Revolution CAC (Central America and the Caribbean) Tour is a sequence of visits to select countries in CAC where PR (Peace Revolution) has yet to visit. During the visit, our PR Meditation Trainers from CAC will conduct series of meditation workshops linked to different topics such as creativity, stress management, life enrichment, etc. The purpose of the visit is to introduce our project and meditation with the local people. If they are interested and want to continue meditating, they may choose to join our free online meditation program and apply to our fellowships implemented all over the world. You will have the chance to participate in meditation workshops conducted by PR Meditation Trainers where you will be able to go deeper in your meditation practice. You will share inner peace among your community and unconditional sharing is one of the best activities you can do for yourself and others. After the visit of your country, you can keep developing yourself as a PR volunteer by supporting us in future activities in your country or in online ones. You will get more chances to participate in our fellowships around the world. Certificates will be given to all volunteers. 2. Write an email to enrique@peacerevolution2010.org in subject write the words VOLUNTEER CAC. Peace Revolution is waiting for your help in Central America and the Caribbean, write us to know more about the volunteer program and all the good things you can organize with us. Share the experience to show your country to the PR trainer and let’s experience Peace In – Peace Out together! *Interested applicants must come from the following countries: Panama, Antigua, Barbuda, Barbados, Belize, Netherlands Antilles, Puerto Rico, Saint Kitts and Nevis, Saint Vincent and the Granadines, U.S. Virgin Islands, Aruba, Bonaire, Curacao, Saba, Saint Eustatius, Cayman islands, Montserrat, Anguila, Bermudas, Turks and Caicos islands, British Virgin Islands, Saint Martin, Guadeloupe, Martinique, French Guiana, Suriname, Saint Barthélemy.